I feel drawn to autobiographies of women farmers, and Kristin Kimball’s story of growing food for a hundred people particularly appealed to me. 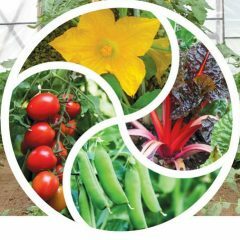 I grow vegetables and some fruit for a hundred people at Twin Oaks Community, and our farming as a whole provides meat and dairy products too – what would be the points of similarity and of difference? Kristin is a freelance writer from New York City. She interviews an energetic young farmer, gets pulled into joining in his work, and then moves from the city to start a new life with him. After some time looking for suitable land for free, they find the deeply run down Essex Farm. This book is the story of their first tumultuous year at Essex Farm (2003), operating a Full Diet CSA. For farmers, this book will not be a cozy read – you’ll be on the edge of your chair! I probably got over half way through the book before I had any hope that they could succeed. Kristin and Mark’s success defies the quantity of hard work, the number of disasters and arguments, and their opposing strongly held opinions. And yet I know they succeeded, because several years have elapsed since the book was written and they are speaking at the Virginia Biological Farming Conference in February 2013. But my goodness, in the early days, they seemed doomed to fail. Their Whole Diet CSA model is revolutionary not only in the range of food provided, but also in the radical distribution method, which is simplicity itself: “Take what you need.” They provide vegetables, fruit, herbs, maple syrup, flours, dried beans, eggs, milk, beef, chicken and pork, for $2900 (in 2010), on a sliding scale. The members can show up every Friday afternoon to collect what they need from what’s available. Some members live pretty much on the food from Essex Farm, and others also buy elsewhere. There were about 100 members in 2010. Mark has all the farming knowledge and plenty of opinions besides. He believes he has a magic circle around him, and that good things (such as a free farm) will manifest. Naturally enough, this is exasperating for Kristin, who is accused of draining the magic with her negativity. The clash of the earnest woo-woo hippie and the middle-class lover of manicures and foreign travel doesn’t look promising. Mark tells Kristin to give away her beautiful bed rather than bring it with her to the farm, as he will build a more beautiful bed. They sleep on a mattress on the floor for a very long time. How is this all going to lead to a thriving farm and two thriving farmers? They (led by Mark) decide to farm in ways they enjoy even if they are less efficient: working horses, hand-milking, no fussing over picayune pricing of individual products. They move to Essex farm in early winter. There are tenants in the farmhouse, so they rent a place in town and commute to milk their cow, feed their chickens and restore the outbuildings. Meanwhile they make plans. Their plans are way beyond reasonable. In one week in February they intend to plan and build a greenhouse. The next week they will cut and split the whole year’s supply of firewood. They planned to hold their wedding in October, coinciding with 50 chicks arriving. Their honeymoon week they would also be extracting honey! Kristin gets library books about construction and plumbing. She realizes how wrong her prejudice was, that manual workers are stupid and lazy. She gets herself through this big change in lifestyle by pretending she’s visiting a foreign land and will one day go home. She enjoys the present, the everyday, but doesn’t consider the hard work in the dirt and cold as a long-term lifestyle. She doesn’t want the emergencies – runaway cattle, freezing pipes, work at all hours, endlessly. Despite the ill omens, they survive the winter (and we’re talking a long Northern winter here). “March was a tense and slightly dangerous time, like a border crossing between two conflicting countries. It’s not the deprivations of winter that get you, or the damp of spring, but the no-man’s land between.” The unpredictable weather, the dull and depressed fields. This resonated for me. When I lived and gardened on the Yorkshire Moors, I felt like this in March. Winter seemed endless, but it didn’t help to expect spring in March, because it just was too early. Now I’m in Virginia and we have weeks of work behind us by the end of March – winter is so much shorter. During the maple syrup run, Kristin finds her feet, a job she excels at: evaporating the sap. She begins to love the work, seeing the connection between her actions and their consequences, believing in what she’s doing. She and Mark still argue a lot, with their different styles (passive-aggressive grudge-nurturer versus dog-like shaking of the issue.) Kristin sees that their arguments come from their two different basic fears: hers of poverty, debt and being enslaved to repayments; his of ruining themselves with overwork: “the farm gaining mass and speed until it ran over the farmer and squashed him.” He worried they’d be overwhelmed and life would not be fun anymore. Both problems are certainly deserving of fear. 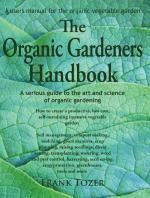 Organic farms fail most often from burnout or divorce. Kristin comments that they were fighting so much they could reach divorce before even reaching marriage. They somehow continue to build up the farm and by the time the ground has thawed [I wonder when that is in the Lake Champlain area? ], they have seven paid up members for their CSA, and tensions recede. They have direction, purpose and a weekly goal. Neighbors and friends rally to help. The first week of their CSA they offer milk, meat, eggs, maple syrup and lard. Once they reach June, the peak of the farming year, they are starting work at 3.45am and not finishing till 7pm (and even then they still have to lock up the chickens). Kristin even falls asleep on the seat of the cultivator. Mark seems to have “diabolical energy” and exuberance. 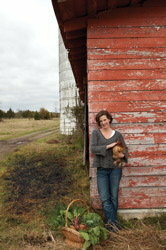 Kristin is happy, working alongside Mark and walking the fields in the evenings, making more plans. In October the wedding does happen (in case you too, were wondering), despite Kristin having flu and the baker having gone AWOL. It was a reflection of their farming: “exquisite, untidy, sublime and untamed”. I don’t know if the chicks arrived the same week, as originally planned. One month later, Kristin is on a two month writing assignment in Hawai’i. 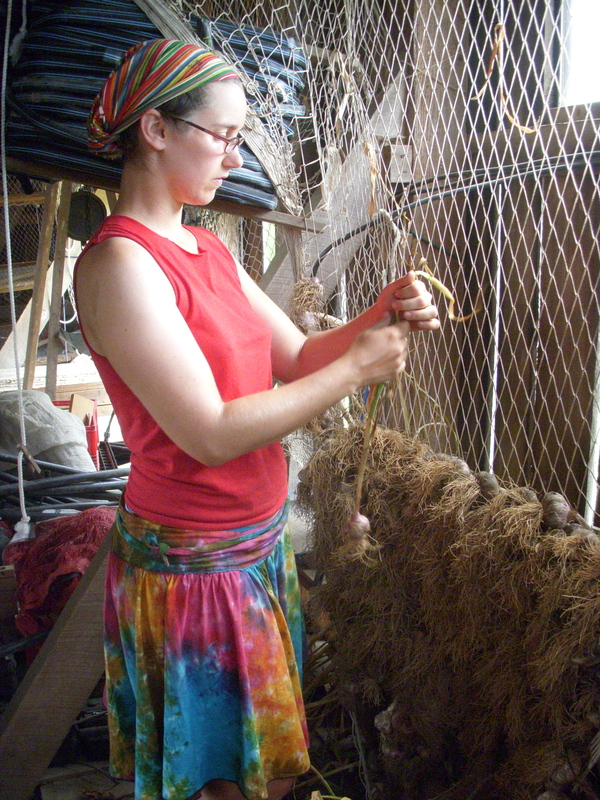 She feels a need to anchor herself by doing some farming, so she visits a vegetable grower. She is taken aback by the leisurely pace of harvesting, and records that that was the moment she made the emotional commitment to her marriage. She realizes the difficulties in her chosen life are hers by choice, and she can’t wait to get home. When she gets home, Mark has settled into his own rhythm, and they work together looking for harmony, not for conflict. But this isn’t the sugar-coated happy-ever-after ending. Their marriage remains fiery. They engage a few interns each year, and employ some of the local people. CSA membership grows to a hundred. In year 4 their daughter is born and they buy part of the farm. Phew! It worked out! Who needs suspense novels for winter reading when there are farming tales as gripping as this one? to read more, go to her website. Three cheers for Ruby Streaks! This week I’ve been marveling at Ruby Streaks, a beautiful ferny dark red leafy salad vegetable growing in our hoophouse. It brings a smile to winter salad mixes, a refreshing change from all the earnest shades of green. 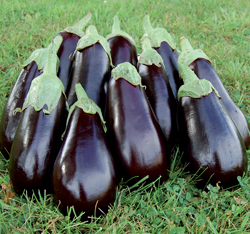 It’s beautiful, fast-growing, productive, easy to grow, cold tolerant, sweet-tasting,slightly pungent, and the seed is not expensive, what more need I say? 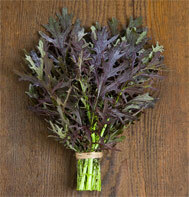 Ruby Streaks is so much more colorful and interesting than actual purple mizuna. For the botanists of Asian Greens among us, Ruby Streaks is a Brassica juncea, not B. rapa var japonica, like actual mizuna. It can be grown and used as a microgreen (cut at small seedling stage), or a baby green after 21 days, and full size after 40 days. You could lightly braise it if you wanted it cooked. The leaves are finely serrated at the baby size and very similar to mizuna at full size. 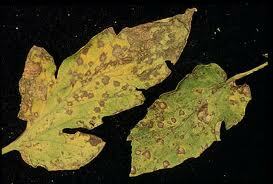 The stems are green and the leaf color ranges from dark green with red veins in warmer weather, to dark maroon in winter. 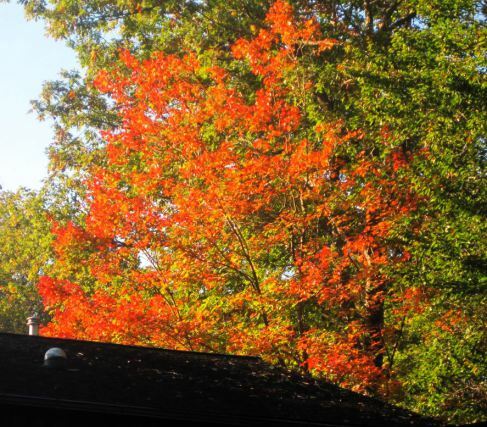 Right now the color is incredible. We harvest full size leaves by “crew-cutting” one side of each plant with scissors, then chopping them into short lengths. The plants regrow quickly. It germinates quickly. Fedco warns that it bolts more readily than mizuna. We only grow it in the winter, when nothing is inclined to bolt, so this hasn’t been an issue for us. 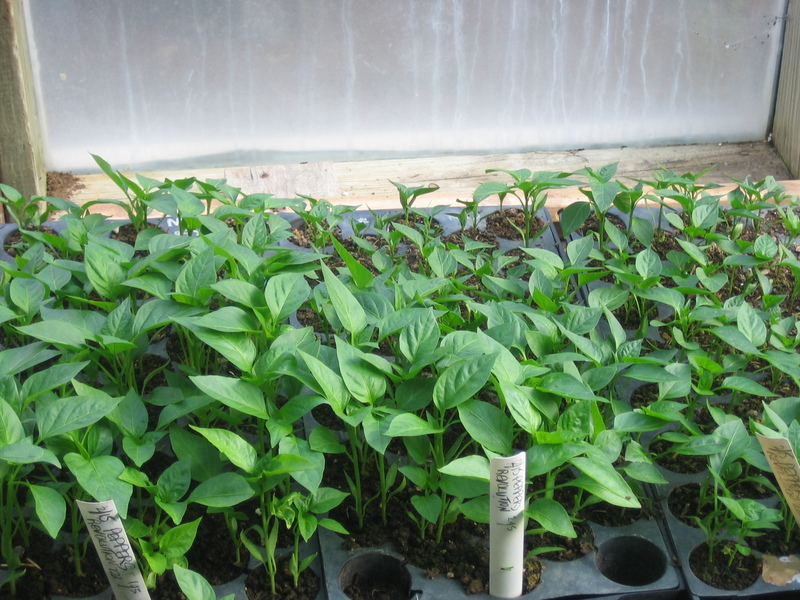 If you want to sow for spring, I’d recommend starting early in flats or pots indoors, and then transplanting at 4-5 weeks of age, about a month before the last frost date. Use rowcover for a few weeks. 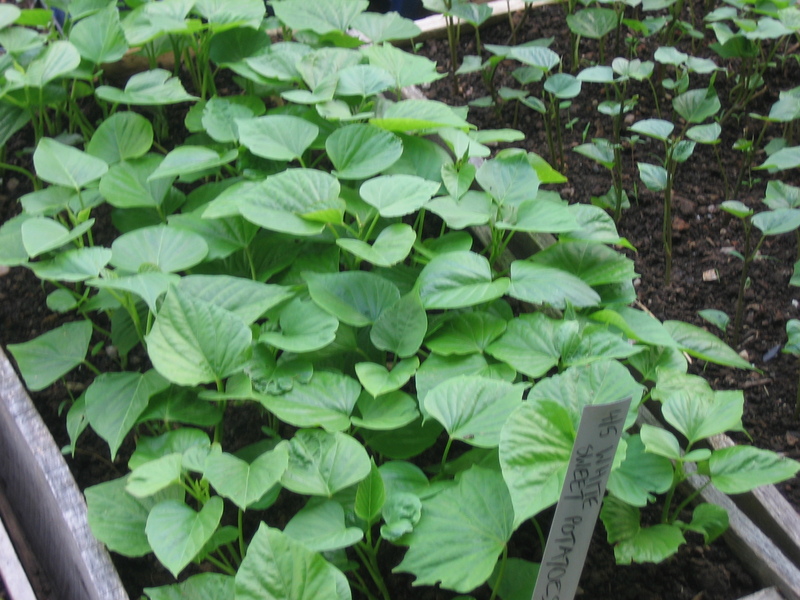 To start in summer for a fall outdoor crops, you could again use flats, or you can make an outdoor nursery seed bed, protected with hoops and rowcover or ProtekNet insect netting from Fedco or from Purple Mountain Organics in Maryland. 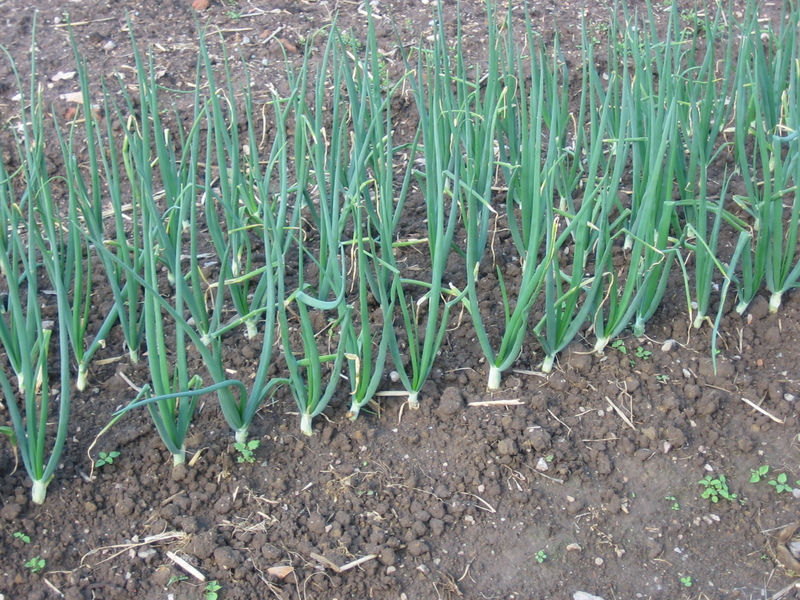 In hot weather it’s easier to keep outdoor beds damp compared to flats with a small amount of soil in them. 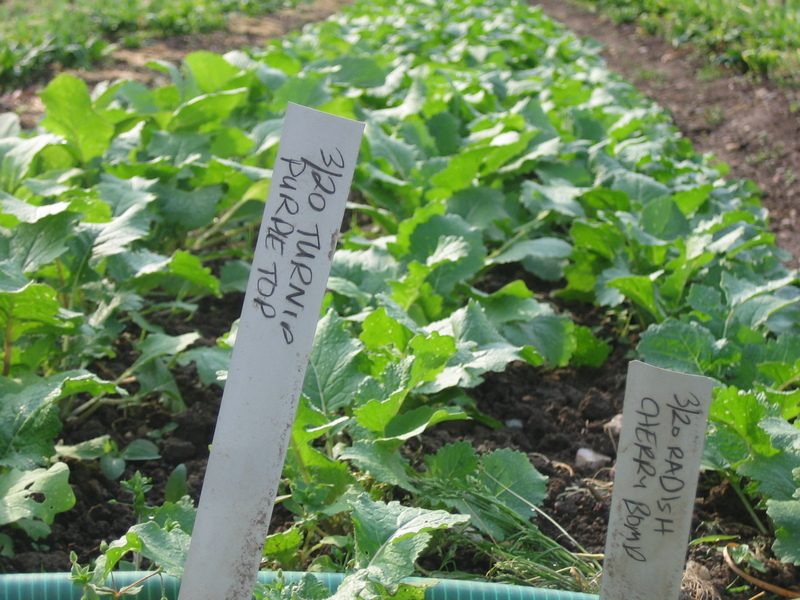 We start ours 6/26 – the same dates we use for sowing fall broccoli and cabbage. The last sowing date is about 3 months before the first frost date. Transplant at 3-4 weeks of age, preferably not older. We haven’t tested out the cold-hardiness of Ruby Streaks, but I would expect it to survive at least down to 25F (-4C), the temperature mizuna is good to. But the hoophouse in winter is where Ruby Streaks really shines! Double layers of inflated plastic provide enough protection in our climate for Ruby Streaks to grow all winter. And I do mean make actual growth, not just rest up waiting for spring! 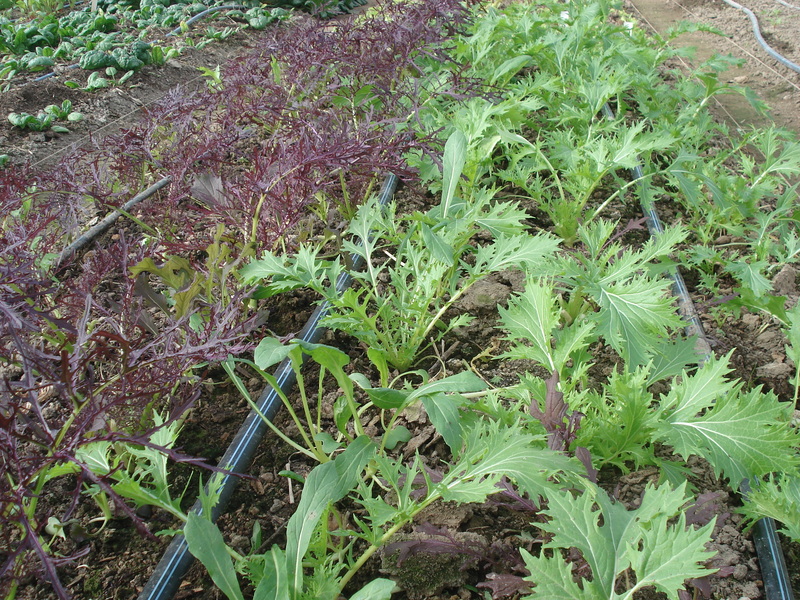 For winter salad mixes, we sow on 9/24 in an outdoor nursery bed, then plant into the hoophouse 10/24 (4 weeks old). 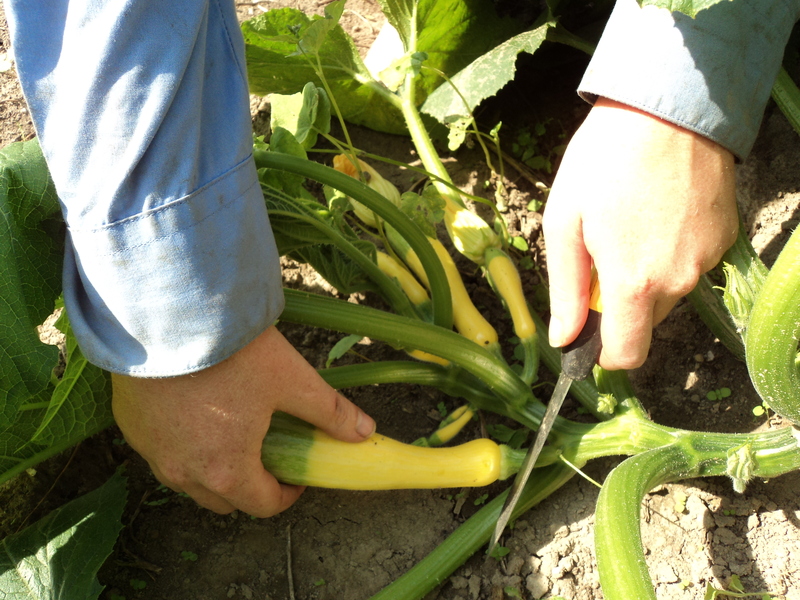 We harvest that 11/1-1/25, by only cutting down one side of the plant at a time. 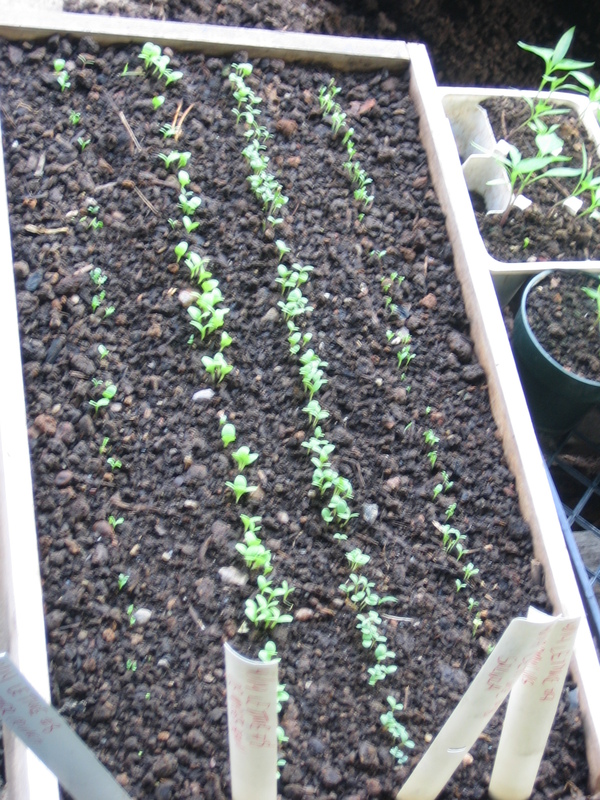 After we clear that crop, we sow radishes in the space. We sow a second round of Ruby Streaks and mizuna inside the hoophouse 11/9, thin it into the salad, and then harvest from it 1/27-3/6. 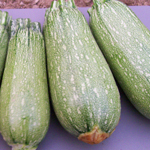 Seed is available from Fedco, Johnny’s Seeds, Territorial, High Mowing, Kitazawa, and other seed suppliers. Fedco sells 1/2 oz Organically Grown seed for $5.20. 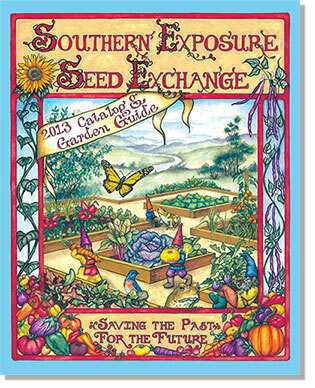 Author farmerpamPosted on January 4, 2013 Categories farm planning, hoophouse, Sustainable vegetable production, This week in the gardenTags Asian greens, brassica juncea, broccoli, cabbage, Chinese Cabbage, easy to grow, fall outdoor crops, fast-growing, Fedco Seeds, ferny dark red leafy salad, garden tasks, gardening, Golden Frills, harvest, harvest full size leaves by "crew-cutting" one side of each plant, High Mowing Seeds, hoophouse in winter, Johnnys Seeds, Kitazawa Seeds, last frost date, Maryland, microgreen, mizuna, nursery bed, plants, productive, ProtekNet insect netting, Purple Mountain Organics, radishes, Red Rain mustard, Red Splendor, rowcover, Ruby Streaks is a Brassica juncea, Ruby Streaks mustard, Scarlet Frills, seedlings, slightly pungent, sow radishes, sweet-tasting, Territorial Seeds, transplanting, vegetable growing, virginia, weather, Wild Garden Pungent Mix, winter salad mixes2 Comments on Three cheers for Ruby Streaks! Winding down, 41 bags of carrots in! Yesterday was our last garden crew shift of the year. It was a chilly day, so I was glad we had finished harvesting all our carrots while the weather was warmer. Washing carrots in cold water is tough! Our carrots totaled 41 bags, plus several buckets of culled Use First quality. I think that’s the most we’ve ever got for fall carrots. Part of our success has been the realization that we can grow 5 rows per bed rather than 4, and get more carrots from the same space. Last fall we failed to finish our initial thinning, mowed off part of the patch, and abandoned them. In spring we were surprised to find them still alive. I wrote about this in a post “Risking Zombie Carrots: weeding tiny carrots versus weeding broccoli” . 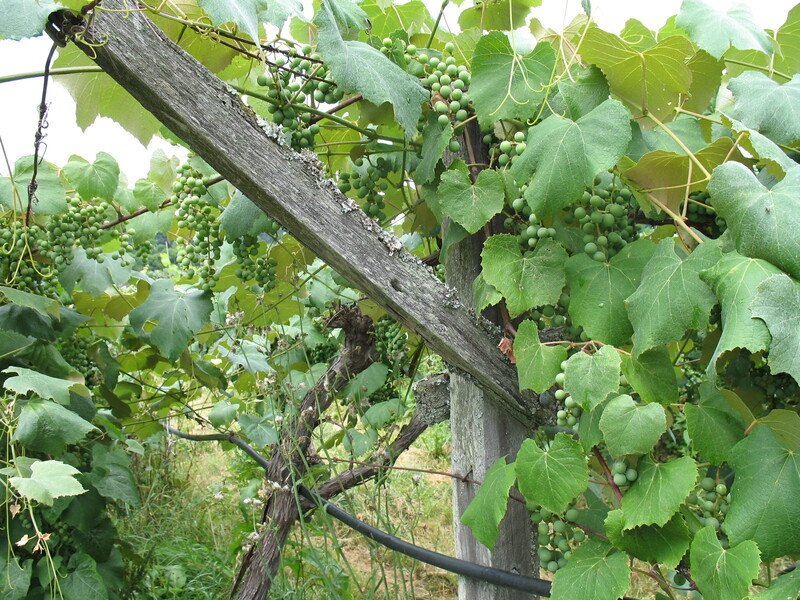 This year we got through all the first thinning (to 1″), but didn’t finish the second (to 3″). We found that we got much the same tonnage from the once-thinned section as the twice-thinned. But yield is not the whole story. Our cooks prefer the bigger carrots, from the area that got properly thinned. So, for our last shift, we liberated some of our garlic shoots from under over-thick hay mulch. 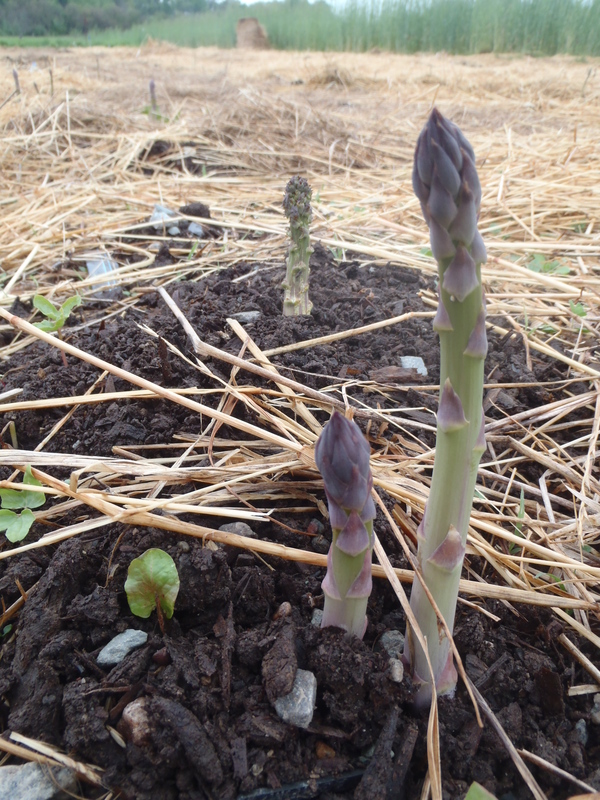 This year we planted up to week later than we usually do, and the colder weather meant the shoots hadn’t emerged in time to be liberated before we stopped having shifts with the crew. The picture above shows where we’d ideally be at before the end of shifts. Yesterday we were able to work on two of the beds, but the shoots were quite small and hard to find. The third bed was even further behind (it was planted a day or two later). 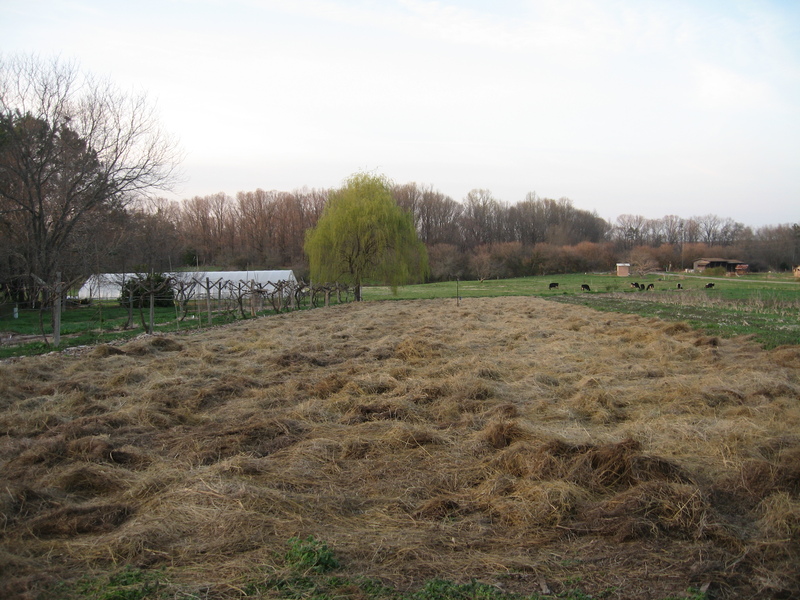 We roll the hay bales out over the patch immediately after planting, and the thickness does vary. 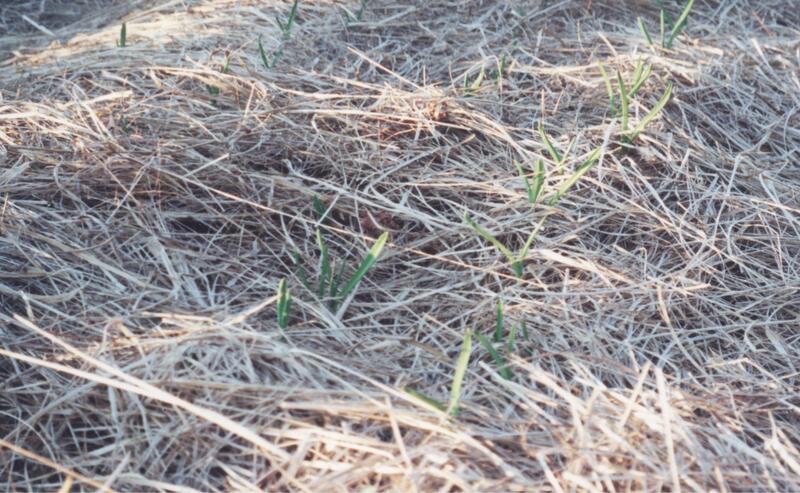 It’s important to walk through and rescue any shoots trapped under thick clods of hay, or they can smother and die. So the last part of the patch remains for those of us year-round Full Crew to tackle on our own. 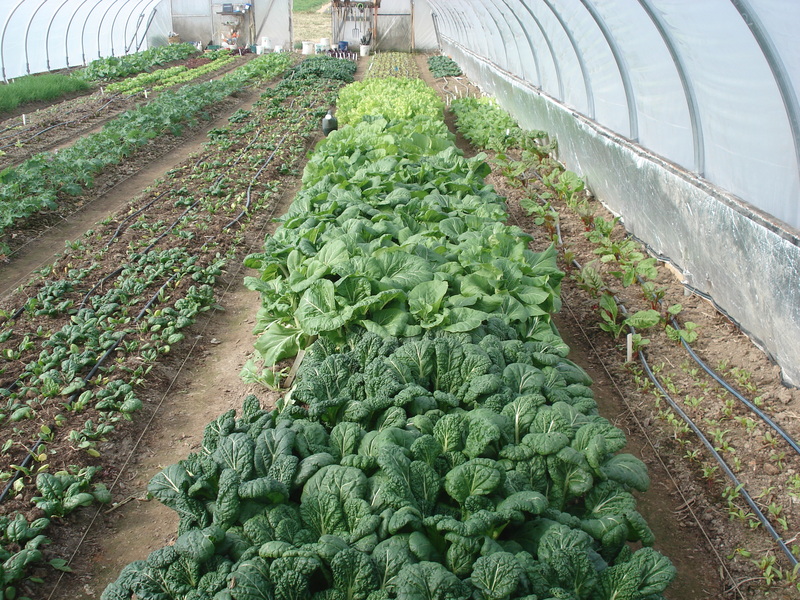 In the winter we have one of us each day responsible for taking care of the hoophouse, putting blown-open rowcovers back and harvesting outdoor kale, spinach, leeks, and as long as they last, lettuce, celery, senposai and Yukina Savoy. This winter we still have some broccoli and cabbage too. Fiesta has been a good late maturing broccoli for us this year. My book is fast approaching press-time. Kathryn finished her index and sent it in. I wrote “About the author” and sent in another photo to substitute for one that wasn’t high enough resolution. I’ll probably spend this weekend reading a pdf of the whole book, before it goes to press. And then I take off for a few days with friends, to rest and celebrate. 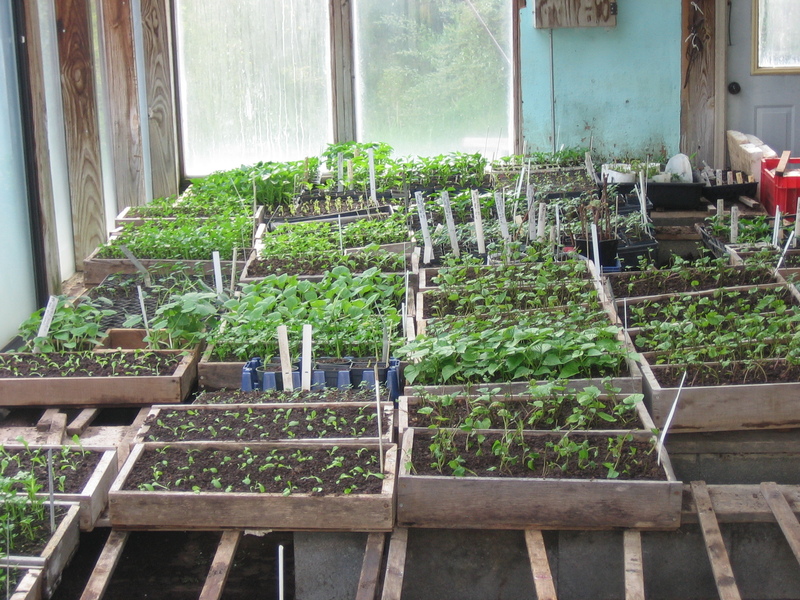 Here’s a photo Ethan just took last week of our hoophouse and its bounty. Hope those of you in the US had a good Thanksgiving holiday. We had a lovely meal here at Twin Oaks, and followed our tradition of going round the room giving each person a few minutes to say what they feel thankful for or appreciative of this year. Naturally, with about 90-100 people in the dining room, that takes a while! Many people appreciated the efforts of the garden crew and other food producers. Since then, back to work! We stop having garden shifts for the year on December 6, so we are focusing on the tasks we really want to get to done by then. One big one is harvesting all our fall carrots. One of our long carrot beds earlier in the year. So far we have dug 15 bags (about 50 pounds each), and are about a third of the way up the plot. We reckon we need at least 30 bags for the winter, so we are in very good shape, looking at getting maybe 45 bags, if we keep moving. The carrots have a great flavor, thanks to the cold nights we’ve been having. And they are in good shape. Not many voles in evidence this fall, or tunneling bugs. 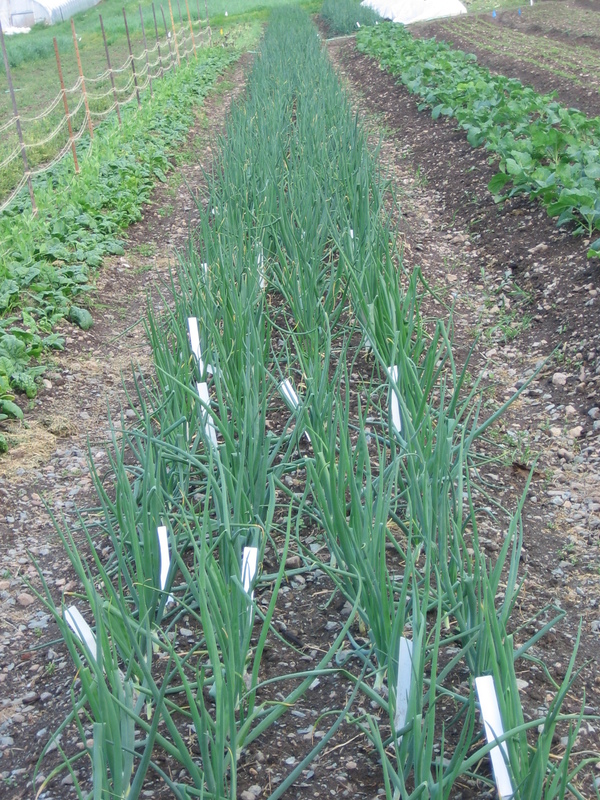 This year we didn’t manage to finish the second thinning, so we started the harvest at the unthinned end of the plot. They are a surprisingly decent size for carrots that only got one thinning. 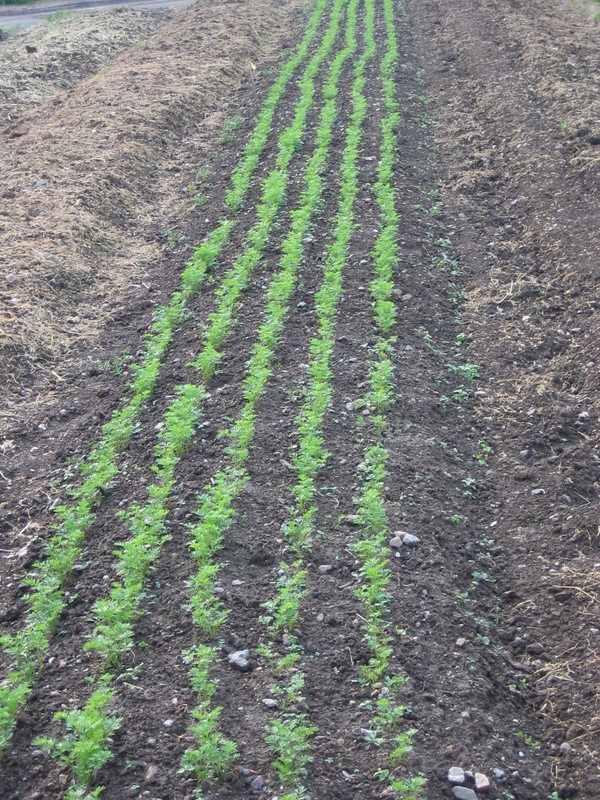 After sowing, we flameweed the carrots before they emerge, then as soon as we can see them we hoe between the rows. It really helps to have evenly spaced parallel rows. Next we weed and thin to one inch, taking away the weeds to the compost pile. 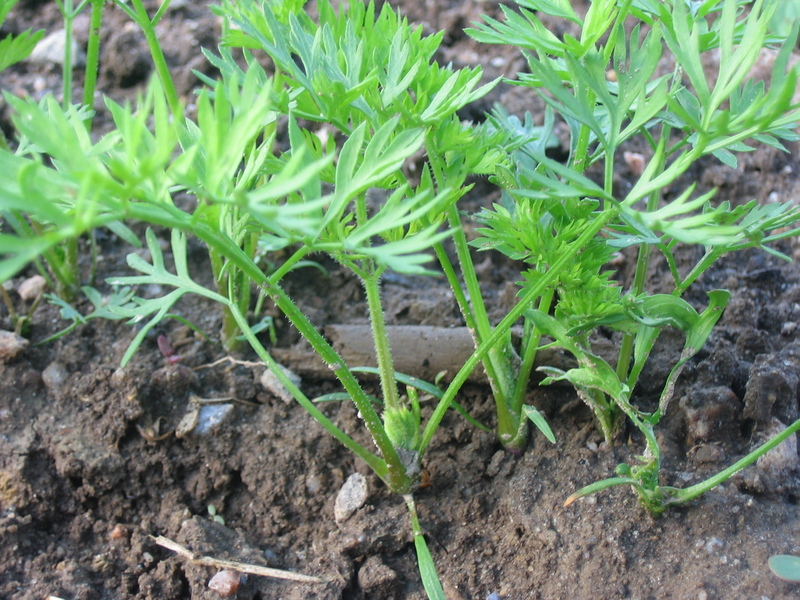 Leaving broken carrot leaves and roots can attract the carrot rust fly (root fly), and we don’t want those! After a while we hoe again, including using our Valley Oak wheel hoes in the paths. Then we weed again and thin to 3 inches, saving the bigger thinnings for salad carrots. After that we leave them to size up. It takes about 3 months from sowing to final harvest, with carrots. 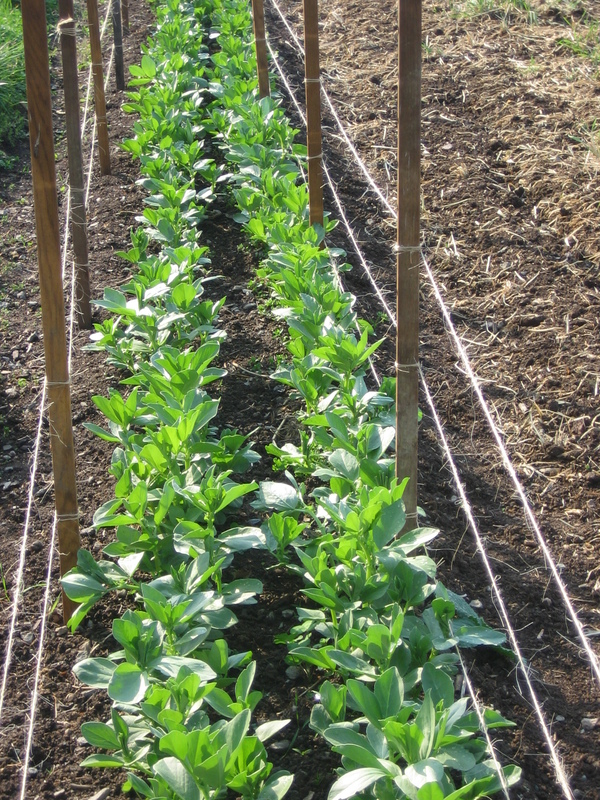 Another of our main jobs now is weeding the seven spinach beds and covering them with wire hoops and rowcover. I do like to weed first, as weeds under rowcover grow so well, hidden from sight. We use double hoops for our overwintering spinach. The inner hoop is thick wire with an eye made at each side at ground level. the rowcover goes on top of this, then the thinner wire hoops which hook into the eyes of the inner hoops. (I have a drawing in my book, but I can’t seem to copy it here.) The hoops hold the rowcover in place when it gets windy, and the rowcover can be pushed up between the hoops while we harvest. In our climate (USDA winter hardiness zone 7a), spinach not only survives the winter; it grows whenever the temperature is above about 40F, which happens quite often under the rowcover. So, provided we don’t over-pick, we can keep the plants going all winter into spring. 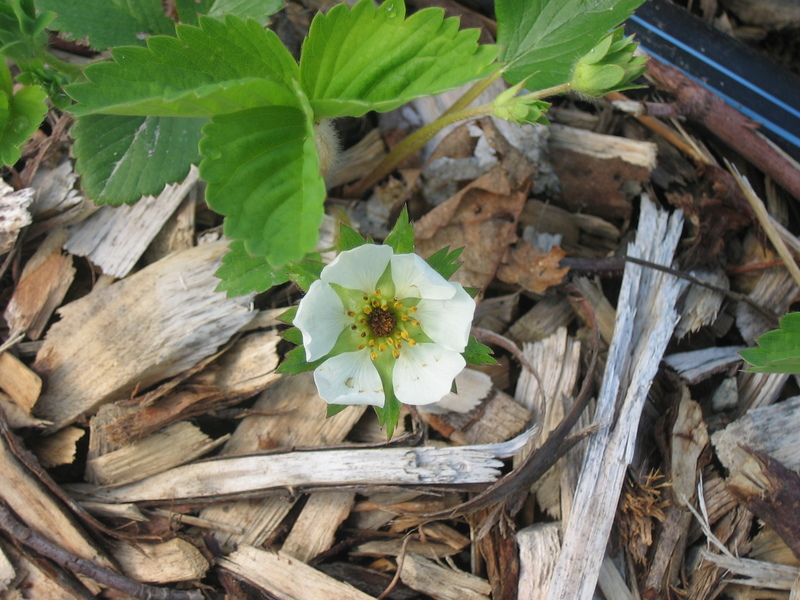 The hoops also hold the rowcover away from the leaves, preventing abrasion damage.